Abstract - Due to enormous evolution in computer technology in the last decades, dealing with the computer in various fields became a normal activity for nearly everybody. Many researches arise to make interaction between humans and computers easier, more axiomatic and more reliable. The interaction with computers is not limited to keyboard and printers anymore. Eye gaze is one of the most important devices for computer interaction nowadays because of its ease of use, interaction speed-up and the possibility of use by normal and handicap persons. In this paper, we develop new interface for improving the speed of Eye Based key-in of phoning and internet browsing in particular, the proposed interface different from the old one in using one button and single line moving keyboard which would speed-up the process. Abstract - Automatic digital plant classification and retrieval can be achieved by extracting features from its leaves. There are ample opportunities to improve plant species identification due to computerization through the designing of a convenient automatic plant recognition system. Many different approaches are used to classify the species of plants based on the plants features. In this research, the plants are classified on the basis of shape and texture. In this paper, it is proposed to extract edge and texture features using Gabor filter and fuse them for image classification. Radial Basis Function is used to measure the classification accuracy of the proposed method. Abstract - Cell phones are now the necessity of mass of people throughout the world. The capability of cell phone is now not only limited to make and receive calls but it has already advanced towards storing data, taking pictures, listening music and watching videos. Modern cell phones are providing internet access, sending and receiving files of different formats through Blue-tooth, and some cell phones are having GPS (Geo Positioning System) technology which allows the user to find out traffic conditions nearby etc. Even remote and undeveloped countries are accessing cell phone technology and wireless services. But cell phones addiction also gives birth to many psychological and mental problems too. Psychiatrists believe that mobile phone addiction is going to be one of the biggest non-drug addictions which disturb the social life. Many scientists also believe that the radiation from the mobile phones may cause the users different types of problems. Further microwaves can also be harmful due its thermal effect which we observe in daily life in the form of warming up of food through microwave oven. In this paper, we are emphasizing these issues in detailed manner. Abstract - Technology using the brain signal, so-called electroencephalogram (EEG), either for controlling or for communication with certain devices is called as Brain Computer Interface (BCI). Through this research the brain signal of the Event–Related Synchronization /Desynchronization (ERS/ERD) as a kind of EEG signals for a motor movement was generated by movement and imagination to move the simulation of steering wheel of “turning right” and “turning left”. ERS/ERD was obtained through a signal processing in the forms of centering, bandpass filter and signal correlation. The features obtained from the signal processing were subsequently correlated with the types of wavelet such as Daubechies8, Daubechies9, Daubechies10, Symlet6 and Symlet8. The correlation was carried out by involving 22 volunteers simultaneously and 2 volunteers separately. The result of this correlation shows that each volunteer has different scale of wavelet to yield a higher correlation values. Abstract - An Ad hoc Network consists of a set of autonomous mobile nodes that communicates via multi-hop wireless communication in an infrastructure-less environment. In such a network group communication takes place by implementing a multicasting technique. This multicasting technique is intended to provide energy and bandwidth efficiency with secure content delivery. The project concentrates on identifying such an efficient multicasting technique. On the basis of comparison of multicasting protocols, Protocol for Unified Multicasting through Announcement (PUMA) has been chosen for initial implementation. PUMA does not rely on any unicast routing approach. It delivers data at a higher efficiency, while also provides a tight bound for control overhead in a wide range of network scenarios. Secure communication is a major concern in PUMA, especially because multicasting protocols are applied in areas such as audio/ video conferencing, corporate communicati-ons, collaborative and groupware applications. For secure communication, the performance of RSA and ElGamal was examined; Findings say that RSA’s execution time is comparatively less. To guarantee the data integrity in ad hoc networks, SHA-1 and MD5 are analyzed with RSA. Finally, the integration of PUMA has been done with RSA and SHA1 to guarantee more security. Abstract - Artificial Neural Networks (ANN) are widely used for superior performance, reduced forecasting errors and consequently enhanced decisions and planning. Wood Pulp is the most common raw material in paper making. This paper is an attempt to forecast demand and supply of pulp wood using Artificial Neural Network (ANN). A Levenberg-Marquardt Back Propagation (LMBP) algorithm has been used to develop the ANN models. In developing the ANN models, different networks with different numbers of neuron hidden layers were evaluated. The forecast is done using the feed forward Back Propagation Network (BPN). Consumption of paper per person increases every year. On account of steady increase in paper demand, the forecast on demand and supply of pulp wood is considered to improve the socio economic development of India. Abstract - Mobile Ad-hoc Network is vibrant and dynamic Network occupied by Mobile station. Stations are typically laptops, PDAs And Mobile phones. These devices characteristics bluetooth And WiFi Network crossing points and commune in a distributed way. Mobility is a main characteristic Of MOBILE AD-HOC Networks. As lack flexibility and because Of its rising cost and prices of such Networks experimentations is very much attainable all the way through Simulation. Several tools are for Mobile And-hoc Network Simulation, with ns-2 And GLOMosim, which of the two are very well liked. This article offers a simulator and related Simulation techniques. Abstract - Advertising media is the most powerful means of communication which creates different marketing interests among people (customers). Over the years, TV, radio, newspapers, magazines and road side hoardings has always broadcasted and communicated advertisements to customers. With the advancement of technology, internet, smart phones and PDA's advertisements are modulated in an interactive mode. So, designing a personalized advertising scheme becomes the need of an advertiser. Many researchers have proposed various solutions for providing location based advertisements to users, out of which some have also been implemented in real life scenarios. In our paper we propose a unique marketing scheme in which the advertisements are generated dynamically in a personalized manner according to the current location and requirement of the consumer. The user will have flexibility for customizing the type of service to request. The result of this paper will produce a new business model, which can help the advertisers to settle with a benchmark for the utilization of marketing resources in a proper way. Abstract - The new data modeling requirements have been arise mainly because of information technology improvements such as multimedia and hypermedia incorporation to documents. These and other considerations have produced new brands of evolving data models. Model based approaches to multimedia and hypermedia design are methodologies that make use of some of the newest model in order to begin from high level, a step by step process directed to low level specifications trying to cope with multimedia and hypermedia in a user oriented fashion. Representation of digitalized documents has considerable evolved with the integration of multimedia technology. Compared to textual documents, the content as well as the layout of multimedia documents has been extended to manage images, graphics, schemata and more generally any multimedia information. 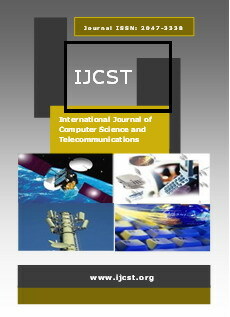 This paper presents a model dealing with multimedia information system using general development issues and specific multimedia subjects. Abstract - Wireless Sensor Network (WSN) is a variant of Mobile Adhoc Network (MANET) that exhibits strict energy constraints. Recent advances in WSN have lead to promising applications viz. habitat monitoring and target tracking. These applications are based on monitoring and analysis of data received by various sensor nodes. However, data communication between nodes consumes a major portion of the total energy consumption of the WSN. Consequently, data aggregation techniques can efficiently reduce the energy consumption by eliminating redundant data traveling back to the base station. This paper aims to identify an efficient data aggregation protocol and after survey of different data aggregation approaches, LEACH has been selected as a data aggregation protocol which is a cluster based approach. The security issues such as data integrity, confidentiality, and freshness in this data aggregation become crucial when the WSN is deployed in a remote or hostile environment where sensors are prone to node failures and compromises. After comparisons of three methods of encryption like AES, DES and RSA, AES algorithm has been selected which follows the symmetric approach. Here, comparisons are based on the parameters like Execution time, Throughput and Energy consumed. Abstract - In this paper, we set up the fundamentals Overview, Protocol, its Architecture, its Application and related requirements, its challenges and its solutions. Mobile Ad-hoc Network is vibrant and dynamic Network occupied by Mobile station. Stations are typically laptops, PDAs and Mobile phones. These devices characteristics bluetooth and WiFi Network crossing points and commune in a distributed way. Mobility is a main characteristic Of MOBILE AD-HOC Networks. This paper gives explanation about the Overview and main characteristics of Mobile Ad-hoc Network signifying the pros and corns of the Mobile Ad-hoc Network. Abstract - In this research, an algorithm for disease spot segmentation using image processing techniques in plant leaf is implemented. This is the first and important phase for automatic detection and classification of plant diseases. Disease spots are different in color but not in intensity, in comparison with plant leaf color. So we color transform of RGB image can be used for better segmentation of disease spots. In this paper a comparison of the effect of CIELAB, HSI and YCbCr color space in the process of disease spot detection is done. Median filter is used for image smoothing. Finally threshold can be calculated by applying Otsu method on color component to detect the disease spot. An algorithm which is independent of background noise, plant type and disease spot color was developed and experiments were carried out on different “Monocot” and “Dicot” family plant leaves with both, noise free (white) and noisy background. Abstract - One of the major problems in Service Oriented Architecture is ensuring a secure infrastructure environment. SOA play a major role in providing security standards for the web and hence there is intensification in the need for developing a secure framework. The major objective of this review is to analyze various frameworks for Service Oriented Architectures, to compare and contrast its pros and cons. The paper discusses various security threats and vulnerabilities an SOA can have in today’s scenario and also various security services offered by SOA. The paper finally comes with a proposal of secure SOA framework model. Abstract - In the last half century, the English character recognition was studied and the results were of such type that’s it can produce technology driven applications. But the same approach cannot be used in case of Indian languages due to the nature of complication in terms of structure and computation. Now days there are different methodologies which are growing fastly in the area of Indian languages and character recognition. The offices, banks, schools and other organisations are working in the field of digital document processing. Devnagari is the national language of India and generally spoken by 600 million people in India. Devnagari should be given more special consideration for analysis and document retrieval due to its popularity. This paper is mainly concern for the people who are working in the Devnagari Optical character and it provides an overview about Devnagari character recognition system (DCR). In this paper the current status of DCR is presented and future research is also suggested. Abstract - Accessing the Web nowadays in mobile phones has become common and popular worldwide. While mobile phones are becoming more popular, wireless communication vendors and device manufacturers are seeking new applications for their products. Most available Web pages are designed for desktop PC and are not suitable for displaying or browsing on mobile phones because of its small display and limited memory, processing power. In this paper, a content adaptation technique is proposed where adaptation is done using predefined HTML tag sets. All the contents in different format satisfying different device specifications are stored in a single html program. After detection of device, the required portion of the program for the requested content is delivered and the client’s browser renders the web page.